Imagine a high-tech park on rolling acreage, on the edge of a vibrant outer-urban community. Overlooking a career center, a performing arts center and a major state university. Sound too good to be true? It's not… The Tuscarawas Regional Technology Park… The Natural Choice. The Tuscarawas Regional Technology Park is situated on approximately 160 acres, with 48 acres set aside for LEED Certified structures. The remaining 112 acres have restrictive covenants and building review standards for quality-controlled, unified development. Common areas are planned throughout the park to provide inspirational and relaxing venues with nature trails, outdoor picnic lunch areas, ponds and wetlands. The Tuscarawas Regional Technology Park is creating an atmosphere that will nurture the interaction of education, internship, entrepreneurship, research and development, and high tech business and industry production. The Tech Park is strategically located near the intellectual capital of Kent State’s Engineering and Technology degree programs and firms like Lauren International, Timken, Suez Water Technologies and Solutions, and Cooper Standard, known for their commitment to high-tech research and development programs. Kent State University Tuscarawas Campus - the primary campus for Kent State's engineering and technology degree programs, is located just across the street from the Technology Park. 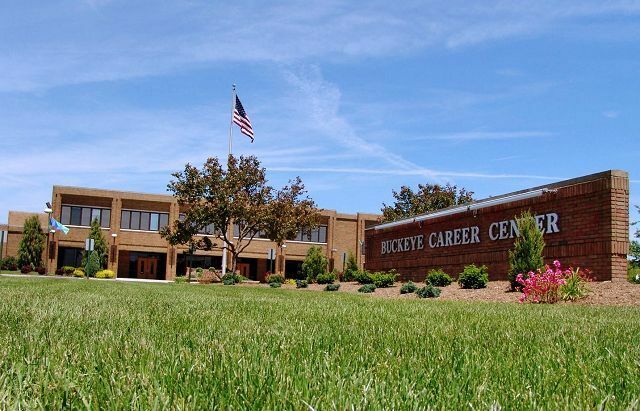 Buckeye Career Center, a high school and continuing education facility focusing on many high-tech fields is located next to the Technology Park. As the developer and manager of The Tuscarawas Regional Technology Park, the Community Improvement Corporation of Tuscarawas County (CIC) is working closely with these educational institutions, as well as the Small Business Development Center at Kent State University Tuscarawas, Tuscarawas County Chamber of Commerce, and other business development entities to create a vibrant business development and support community. 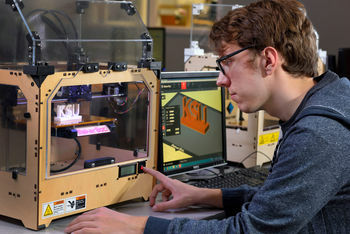 These networks and the local employment services office, Ohio Means Jobs, provide a steady stream of highly qualified, highly trained, and creative high-tech engineers, technicians, and researchers to meet the needs of 21st Century businesses and industries. The Tuscarawas Regional Technology Park provides high-tech businesses with the best of all worlds. Located in an outer-urban location that is serene and safe, you will also be close enough to major highways, railways and airports to connect you to the world. 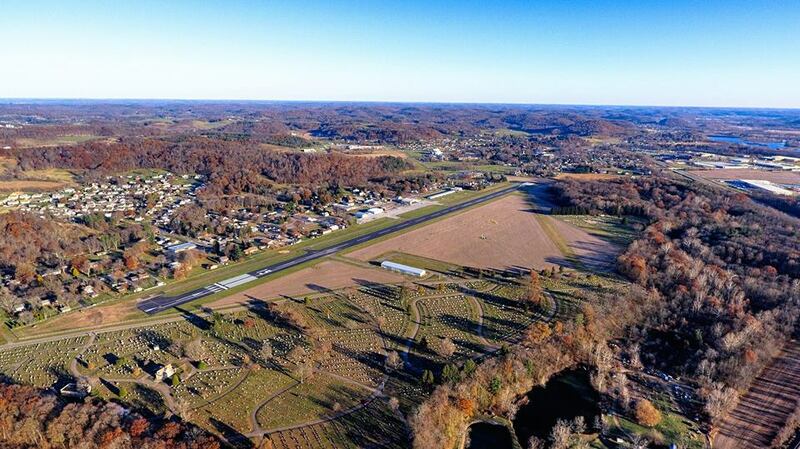 Make use of Harry Clever Field – the home of John Glenn’s first solo flight. Just three minutes away, Harry Clever Fields is owned by the City of New Philadelphia, Harry Clever Field has 39 aircraft based on the field. Primarily a single-engine plane field, it can accommodate small corporate jets and multi-engine planes, as well as helicopters, and averages 150 aircraft operations each day. Need to connect to national and international flights? Akron/Canton Regional Airport is just a 30-minute drive, door-to-door. Akron/Canton Regional provides direct flights to Pittsburgh, Columbus, Washington DC, New York, Chicago, Boston, Atlanta and Charlotte, and connecting flights to anywhere in the world. The airport continues to grow strategically, with CAK 2018, a $110 million capital improvement program, incorporating 10 vital projects including a major runway expansion and a new customs and border patrol facility to accommodate international flights. Currently all streets and access to the park are paved, and all utilities are completed throughout the 170 acre complex. Featuring a 96-strand fiber broadband network, the park is wired to accommodate large volume work, with redundant transmissions possible. The Tolloty Technology Center serves as a business Incubator, providing an affordable, viable start-up location for new business concepts. The Park has been planned with restrictive covenants and design review standards with an eye toward maintaining an attractive, creative and natural setting that will promote green technologies and work-styles. View the Declaration of Covenants and Restrictions for the Tuscarawas Regional Technology Park. View the site map for the Tuscarawas Regional Technology Park. 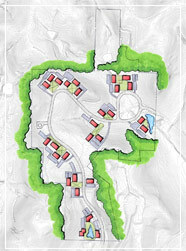 Map shows possible lot divisions and building sites. Download our convenient one-page profile for your files.